If you need to add a player or continue/complete an existing players registration you can follow the following steps. You can add additional guardians/parents and children/players to your family view. Adding additional family members is very quick since it inherits most of the information from your member information so you only need to make small additions or corrections. 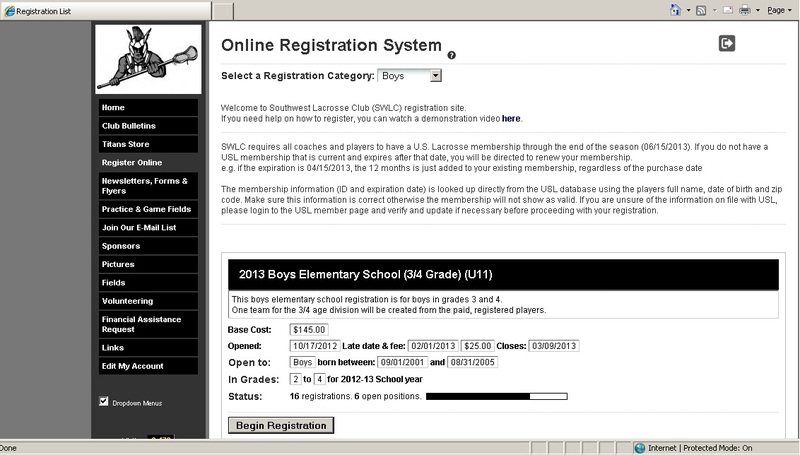 If your player(s) are already registered, the program they are registered in is displayed next to their name. To start or continue a registration, click "Register Online" from the menu to the left. 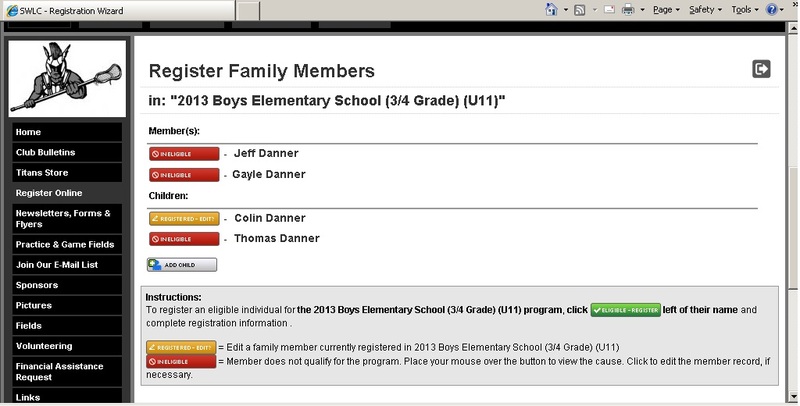 Then select Boys or Girls from the program types. Confirm the information and click on "Continue"
Select the appropriate child to register (eligible players based upon age, gender); those eligible will have a green button next to their name, or a yellow button to edit an existing registration. Click on the green or yellow button and complete the registration to the end. You can confirm that your registration is complete by coming back to your family view. The completed registration should be displayed next to your child's name.